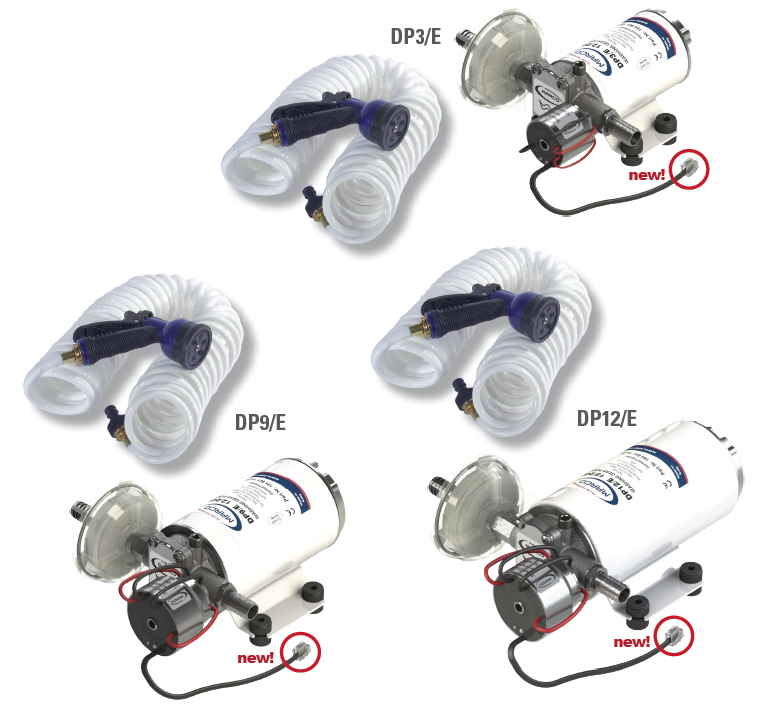 Complete kits including a selfpriming electric pump with electronic control. Equipped with helical PTFE gears, in-line filter, nickel plated brass body and check valve. With 32.8 ft stretchable coil hose and jet gun, equipped with quick-click connection, stop-jet, check valve and trigger with jet regulation. The kit are particularly suitable for washing operations either with salt or fresh water.